Anna Vo is the creative director of PNJ Jewelry. 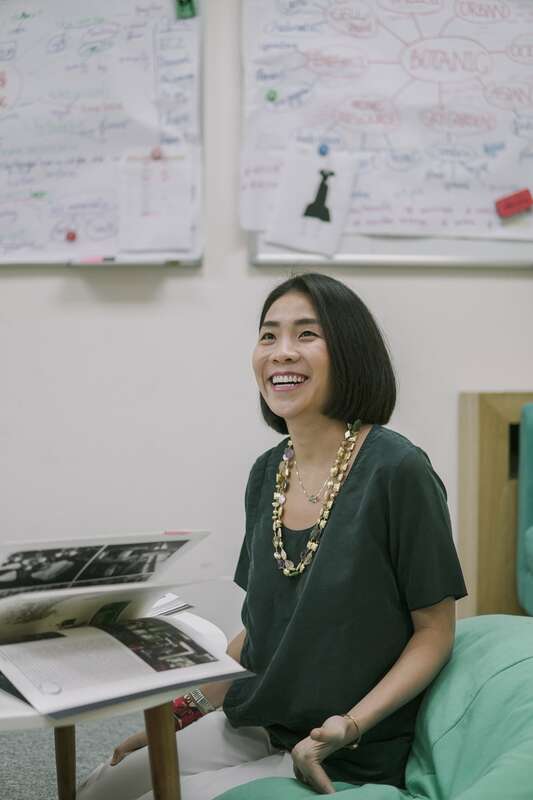 She has her own fashion label, also called Anna Vo, and she writes and talks frequently about fashion. PNJ were established in 1988, specialize in gold and silver products with over 250 stores in Vietnam. They have also been recognized as the 3rd largest jewelry company in the world and one of Asia’s Top 500 Retailers. “I believe in healthy competition,” Anna smiles. How important do you feel it is to spend time with the right people? What kind of people do you like to surround yourself with? The people we choose to surround ourselves with impacts the way we think, act, and feel on a day-to-day basis. I like to surround myself with what I call “relentless workers”—colleagues who are like myself. These types of workers push us to work harder each day. True passion and commitment breed successful businesses. Also, I believe in healthy competition. It not only generates results but it also improves our own personal work habits. While measuring our personal success against someone else’s success can be like comparing apples to oranges, we can and should measure our drive against the drives of other relentless workers. I personally find myself to be most productive when discussing and communicating with other people, sharing ideas, criticisms, problems, and brainstorming. I like to do all this in our in-house creative spaces, at a coffee shop, or in a co-working office or library. I work in a creative field. Therefore, the struggle of sitting in an office from 8 to 5 pm doesn’t really apply to me. I’m lucky to be able to say that. And I take my team out a lot, and together we visit exhibitions, galleries, art performances, libraries, or classes at RMIT. To be creative, I believe we need to stay aware of what is going on around us socially, politically, and economically. To keep her team socially informed and creatively inspired, Anna takes her team on trips to places like museums, libraries, art galleries, and university lectures. I can proudly say that I’ve created a real creative department at PNJ since I joined the company two years ago. Before I arrived, there was only a design department. An easy, comfortable, and fun space was a great addition to our workplace. I refuse to accept a traditional workplace out of convenience. Instead, I’m willing to go the extra mile to create something that benefits everyone. In addition to the basics like desks, tables, chairs, whiteboards, etc., I fill space with fun decor, a fridge with snacks and drinks, bean bags, and a big sofa near our projector. We have something I like to call the “how do you feel today” wall. It’s a small wall covered in candies. In front of the mood board we have boxes with different kinds of candies labeled with different moods, like happy, sad, loved, or stressed. The team plays around with these and, of course, gets to eat the candies. “I want to balance work and home life. You can have both!” Anna says of her long-term plans for her family. My parents. I am very blessed and fortunate to grow up in a family where we value work ethic. My mom taught me how to make my own dresses using my room curtains when I was ten, and my dad, a driven businessman with a big heart, taught me how to transform an idea into a business. How often do you think about long-term goals? And how do you ensure that you will achieve your long-term goals? To reach where I am today, I absolutely had solidified my goals early on. I knew where I was heading and what I wanted to do by graduation. But if you ask me what my long-term goals are for the next five years, I have to say it doesn’t revolve completely around work. As independent and driven as I am, family is what matters most to me. I am a full-time working woman, however, I do come back from work every day to prepare a home-cooked meal for my loved one. We are building our future together, we set our goals together, and so, now, my long-term plans involve my partner. In the end, it’s all about balance. I want to balance work and home life. You can have both! “I’m in charge of anything creative at its core,” Anna explains. Tell us more about your current role at PNJ. I am currently creative director. I am responsible for creating concepts, ideas, and visions for the three main brands we have: CAO fine jewelry, PNJ Gold, and PNJ silver. I am in charge of managing, training, and mentoring over fifty members of staff including the 2D and 3D teams. Additionally, I work directly with the branding team, our graphic designers, and advertising team. Each of the three brands gives us a one-year timeline, listing how many collections we much put out each month. I come up with the concepts and inspirations for these collections as they relate to each brand. Finally, I’m in charge of anything that is creative at its core, from fashion to store concepts, as well as the design of sales kits which we hand out to our sales team. I train each member of my creative team so that they can perform any kind of creative function. They learn to balance business and creativity. What sort of differences are there between fashion and jewelry production? The differences are in the materials and techniques. In fashion, I choose what kinds of fabrics to use and which finishing techniques to use, such as plisse, degrade, and applique. When creating jewelry, I choose what kind of stones to use, like precious, semi-precious or chalcedony gemstones. The way I come up with product designs doesn’t vary hugely. I find inspiration outside of the workplace in things like art, architecture, music, and history. Once I come up with an idea, I make a sketch, then work on pattern-making and prototyping. If the design works, it goes into production. In jewelry production, we move from a 2D drawing to a 3D image created using software like Rhino or Matrix. From this, we generate a “resin”, or a prototype. From the resin, we move to manufacturing, and the rest belongs to other divisions of the company. “Fashion has always been in my blood,” Anna laughs. 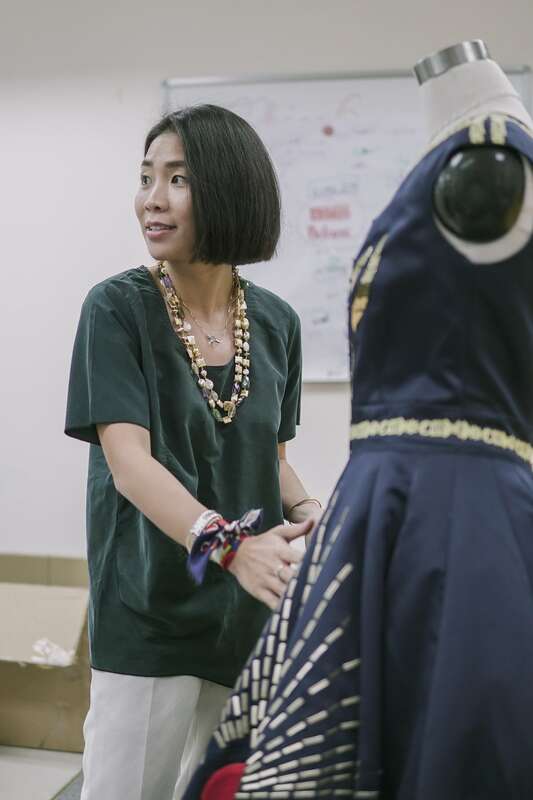 Can you describe the work you’ve done as part of Vietnam’s fashion industry? 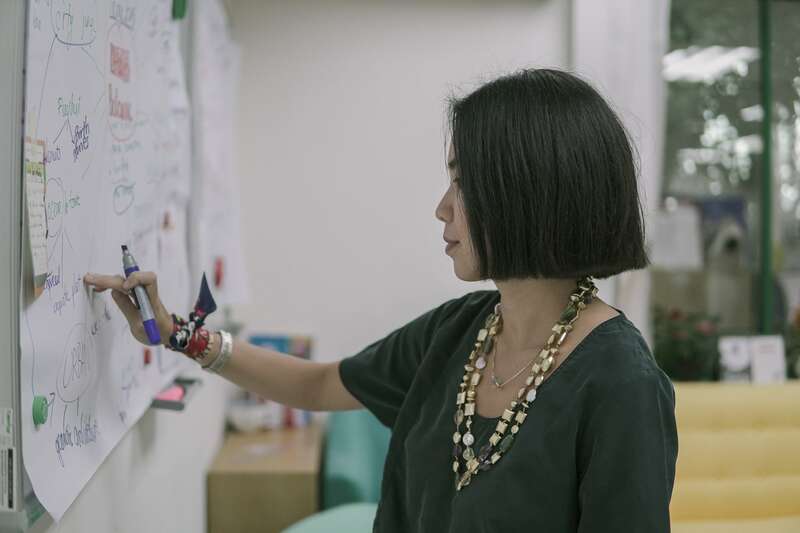 I’ve been working in Saigon’s fashion industry since 2012. Since then, I’ve created my own label and company called Anna Vo. It has been an exciting, joyful, and challenging six-year ride. I am lucky to do what I love and to have the support that I need from my family. Fashion has always been in my blood. I continuously create beautiful and wearable collections, teach part-time at RMIT and Hoa Sen University, guest speak at international women’s organizations and panels on fashion and education. I have participated in both Vietnam Design Fashion Week and Elle Fashion Journey. And since November 2016 when I was asked to be PNJ’s creative director, I have focused on applying my know-how and work ethic to jewelry design. It’s been challenging trying to sustain my own business while contributing to the industry by doing educational work in schools and at conferences, but I want to invest in younger generations. Young people are our future. They motivate me to keep working. In my mind, fashion, education, and service must all come together. Where do you see the Vietnamese fashion industry five years from now on, and what role do you see yourself playing in this? Vietnam is emerging, and the world knows it. For fashion specifically, it’s a competitive and growing market. We see international brands joining in the retail sector here. And with generation Z, I believe we’ll see even more locally-styled businesses rise in popularity here. Today, people are interested in buying products with personalized touches, emotional significance, and cultural inspirations. 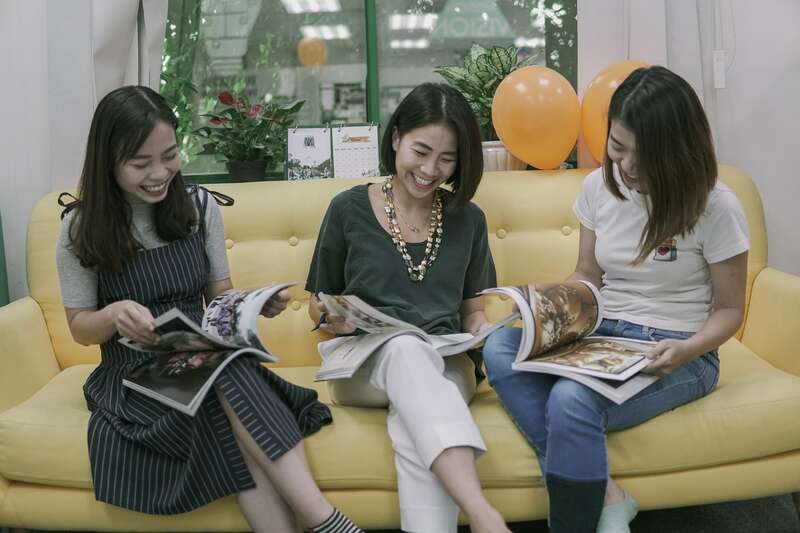 Generation Z will continue to demand ethically produced goods, diverse selections, and inclusive business mindsets, and I expect this to influence the Vietnamese fashion industry greatly. People may call millennials dreamers, but I believe generation Z is a generation of doers. The roles of e-commerce platforms and online browsing continue to grow, and I think this will help small retailers connect to their customers. I do my part in assisting in these nationwide developments by also devoting myself to education. You should talk to Mrs. Nguyen Trang Hoang Anh, who is a managing partner at The Purpose Group. It’s a fully integrated advertising agency, and what makes it different is that it creates diverse, culture-shifting creative works. Ms. Nguyen is an incredibly talented woman who happens to be one of the most elegant, stylish Vietnamese I’ve ever met. She’s also a dear friend of mine. Another person you should talk to is Mr. Romain Leclef, currently CEO of Tournaire Asia Pacific. He’s a sophisticated parfumier who’s worked with almost every big brand to create essences and flavors around the world. It would be really interesting to hear him talk about working in this complicated and important industry. Try asking him how he manages to work with so many different kinds of people, from the Vietnamese, Korean, and Japanese to the French. His clients come from everywhere.